As we say goodnight to 2010 be mindful that "Social Media" activity is not a replacement for actual human engagement. The economic downturn and the explosion of "online social" have corresponded in parallel. Coincidence or a place for people to hide out during crappy times? 2011 will bring new "buzz words" into the business vernacular, but "buzz" only goes so far. All opportunities come from people, and those who will get ahead of the rush to economic recovery will do so via the cultivation on powerful business relationships. People matter. Do not just go through your day with a rush for deadlines and busy-work. Do not confuse an electronic link on Facebook to a real friendship. Your number of Twitter followers is not equal to the level you contribute to society. Invest in engaging the people who are part of your world. Make "Human Engagement" your mantra. UPDATE: We have a winner! @melindajane won the books. Thank you to all who entered. One lucky winner will get a bundle of all 8 of my books on New Year's Day. 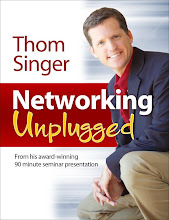 Valid entries require that you follow @thomsinger on Twitter and Like “Thom Singer – Professional Speaker and Author" on Facebook and that you make the applicable posts as directed. One random winner will be selected on January 1, 2011 from entries submitted on Twitter. The winner will need to provide their name, U.S. mailing address, email address in order to facilitate delivery of the book. The winner will also need to provide their Facebook name so that we can confirm that a Facebook comment was made in accordance with the rules. If the random winner cannot provide required information within five days, then they will be disqualified and a different winner will be selected. While we appreciate everyone who is interested in the book, this contest is only open to U.S. residents at this time. 2010 is almost wrapped up. It is not too late to do something that makes a difference. Be intentional in your actions and have an impact. "Social Media" has been the hottest buzz term in business for the past several years. People are adopting the various "social" tools faster than any medium in history, and where you find people, you find is money. Smart companies have gotten past hoping social media was just a fad, and are waist deep in the middle of these internet and mobile tools. The hard part for many is finding how to go from "social" to "sales". Many old-school business professionals are struggling to find their way in this social media world. They can no longer control the company marketing messages, and this leaves them worried about the whole environment. Customers do not wait for companies to create communities, instead organizing their own groups and discussion forums. People are doing what people have always done -- they are communicating. The change is they can find their peers (with similar interests) much easier. Geography and time of day no longer matter. New buzz words are popping up, and many are predicting that "social" might get pushed over to the side in the new year. Some have proclaimed 2011 to be the year of "Content Marketing", but this content cannot exist in a vacuum, nor can it reach the intended audience all by itself. "If you build it, they will come" only works in Kevin Costner movies. Instead it still relies on all that is lumped under the banner of "social media" to provide the delivery and visibility. But what about sales? Most people are done with the hype of buzz words and are hungry for increasing the bottom line. There is an undercurrent of grumbling from the C-Suite about the investments of time and money in social media (insert "Content Marketing", or any other term) without results. We need to remember the reasons for the business.... and this involves making money. This is not a game of Monopoly, but real life--- and real companies need sales. (Even non-profits must concern themselves with operating in the black). I have been working with clients to ensure they do not throw the baby out with the bath-water. Some are ignoring "social" because they are not seeing immediate ROI. That is the wrong approach. All areas of business must be integrated into the whole. All actions must be aligned with the company's goals, and expanding sales must be a priority. To move from "Social to Sales" your company must be committed to both. The necessary business actions must be working together. You cannot expect "Social" to mean "magic". By definition social cannot be one sided. It is about cultivating relationships. If you expect to see sales results from your "social" efforts without real human investment of time, then you will find yourself disappointed. As you company looks to 2011 have you created plans for "social" and "sales"? Are they integrated with people having shared all necessary information? Or are you waiting for the Tooth Fairy? Setting goals is important if you want to achieve more next year. Waiting for luck will not produce the results you desire. Having clear goals makes the tough decisions that come your way a simple pitfall. When faced with a choice you ask "Does this bring me closer to my goals?" - and the answer is a simple yes or no. But sometimes it is hard for people to review their personal situation and clarify the steps they need to take. They set general aspirations, but miss the specific goals and actions that can make a difference. I have become very good at identifying good ideas for others, but I still miss things that could help me achieve success. We are all too close to our own lives to have clear vision. This year I have turned to others to help me identify some goals, and actions, that will be part of my 2011 plan. In return, I will assist them in a review of their own path. 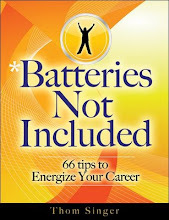 You can reach out to people and brainstorm together for your "Goal / Action Plans" for 2011. 1. Select someone (or a small group) whom you respect. You can get together in a conference room, a coffee shop or in your living room. Allow 30 minutes per person in attendance. Two, three or four people is ideal, but a larger group would work, too. I suggest the people you meet with not be those who are closest to your business and personal life. The ones who know you best might not have an objective prospective. 2. Understand the meaning of "confidentiality" and leave your ego at the door. Those who brainstorm have to be of high character so that you can all share freely your current business situation and future goals. Knowing the other person wont share your goals with your competitors is key to allowing you to freely talk about your desires. Everyone must leave their egos behind, as a brainstorming partner might have a perspective about your situation that is not what you want to hear. If you do not take constructive criticism well, this process might not work for you. 3. Agree in advance to forgo too much small talk or other conversation. Set a timer and commit to a focused discussion for each person. Time is a precious commodity and this is a working meeting with a clear purpose. 4. Have a plan. The 30 minutes should include 10 minutes for the person at the focus to explain their business and what they are hoping to accomplish in the new year, and 20 minutes for the other person(s) to ask questions and make suggestions. 5. Take Notes. A notepad, laptop, or white board should be used to record all ideas. Nothing suggested in a brainstorming session is a bad idea or "wrong". Instead gather all information with an open mind. An idea that is not the right fit might be the catalyst for another concept that will have a direct impact on your future success. 6. After the meeting review. Devote time to contemplate the ideas that other person had for you. Think about how you can implement the unique ideas that were suggested. Take the parts that resonate and make them part of you 2011 Goal and Action Plan. Do not dwell on the parts that were not in line with your plans. Be sure to write down your goals. These should not only be derived from this meeting, as you should be compiling a deeper set of goals and actions for all areas of your life. Without a written plan, this meeting will be a waste of time. 7. Remember that this meeting was not just about you. While reviewing your own session, consider the 30 minutes that were focused on others and their needs. If you know people in your network who can help them succeed, make an introduction. If other ideas come to you that could help them, send an email. Too many people do not "follow through" when they think of ways to assist other people. Do not be selfish. Take actions to assist the other person no matter when the idea comes to you. How do you find brainstorming partners? Just ask. There are lot of people who want to jump-start their career in 2011, and are excited to meet with someone to discuss the options. I suggested such a meeting on Twitter and instantly scheduled five mutually-beneficial meetings with local people (some whom I only know via Twitter). My goal is to meet with ten people during the last week of 2010 and the first week of 2011. Imagine, ten high energy brainstorming meetings where you get ideas from smart business professionals. At the same time, you get to help them with their career. Powerful. One friend said "but that is ten wasted hours.... I don't have that kind of time". This same person spends tons of time on Xbox. Hmmmmm, I think it is all perspective. If you want to do this you can find the time. And you don't need ten people. One meeting with the right person could change your life. Spending time with interesting people and learning about their goals is never time wasted. Even if you get no specific short-term ideas, you could spur a long-term relationship that can pay unforeseen rewards in the future. When I was a very little kid (about 3 yrs old) on Christmas Eve when I went to bed my older brothers (who were all teenagers) jingled bells outside and ran past the window with a red light (Rudolph's nose as Santa's sleigh did a low fly-by). It was a perfect example of the magic and joy of Christmas to a child. The next morning those same older brothers pretended to break all my new toys to see if they could make me cry. Come on... they were still "older brothers" !!! What is your holiday memory?? The 12 Pillars of Integrated Visibility - Number Four: "Marketing"
The face of marketing has not changed as much as many have claimed. The buzz around social media, traditional and alternative media convergence, and societal shifts have lead many to think how we market our companies (and ourselves) is drastically different. However, I believe that sometimes the more things change... the more they remain the same. "the total of activities involved in the transfer of goods from the producer or seller to the consumer or buyer, including advertising, shipping, storing, and selling". The term developed from the original meaning which referred literally to going to a market to buy or sell goods or services. While new marketing tools exist, the concepts and theories of marketing are still the same. The definition is not focused on any one activity. Instead, marketing is a strategy, not a specific action. It is an integrated process through which companies build strong customer relationships and drive understanding for their customers and community with the ultimate goal of increasing sales. Marketing is a mix of creative practices (including advertising, distribution and selling) and academics and science (social sciences, psychology, sociology, mathematics, economics, anthropology and neuroscience). Marketing begins with research and goes through market segmentation, business planning and execution, ending with pre and post-sales promotional activities. Marketing does not happen by accident and is not successful if simply delegated to a single department or a "marketing person". Left brained professionals often think that there is a secret sauce and continuously replace the people hoping to find some of the marketing magic. Company executives must be involved in both the creation of the marketing plan, and in the actual execution if they want to achieve success. Get involved in your marketing plan and create more business. Embrace marketing as an important part of your business. If you have written a book you understand just how cool it is to hold the first copy in your hands. 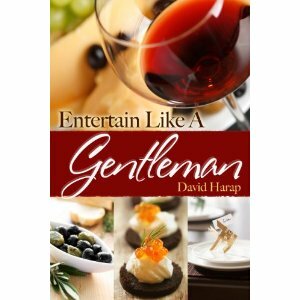 My friend David Harap had that experience recently with the release of his cookbooks; "Entertain Like A Gentleman" and "Entertain Like A Texas Gentleman". David is a partner in a large international executive search firm, and a cooking enthusiast. He teaches cooking classes at Central Market in Austin, Texas and is known to all his friends for hosting great parties with amazing food. The book is designed for men, but women will also enjoy the tasty and recipes and cooking tips. Knowing how to entertain for that special date or for a large crowd is the epitome of being a gentleman. There is no stronger way to impress someone than by showcasing your culinary skills. Chef Harap has created a series of menus that any man can make his own. This book helps men create unforgettable meals for their guests without stress or needing years of cooking school. In addition to many exciting recipes for every occasion, that are tons of tips and secrets on how to become the ultimate host. What is the difference between the regular and "Texas" editions? Everything is bigger in Texas, so he added more recipes inspired by the Lone Star State. Also, find more information about David Harap and get cooking tips at on his website: www.likeagent.com. Do The People In Your Network Know They Can Count On You? If you have ever heard me speak at a corporate event, or have read one of my books, you know that I believe in the power of business relationships. I preach that all opportunities come from people, and encourage people to get involved in their community, network, build connections and help others achieve their goals. If they do this correctly and consistently they will reap the rewards and have more referrals. I know first hand, as I have been blessed by the good nature of hundreds of people who have assisted me throughout my career. Some have said I am lucky to have had mentors, referral sources, friends and others who have delivered me to success. But it was not luck, it was the establishment of long-term and mutually-beneficial relationships..... and based on a true love of people and a desire for meaning in the connections. Yet it is interesting. The people I have helped are not usually the same people who have helped me along the way. And those who have helped me are not necessarily people to whom I have returned the favor (and they don't mind). One would think that is not fair, but those who understand how a network operates will tell you that "givers give", and it is not about keeping score. The universe keeps score, and givers can smell a "taker" from a mile away. But real givers know that it is a circle of giving that will come back to them. Remember the movie Pay It Forward? 1. Not everyone who you will serve has the right connections to serve you. While I might be able to refer a friend to a real estate agent, that agent may not know anyone who hires keynote speakers, sales trainers, or consultants. Does that mean I should keep quiet and not make the referral? Or that they should invest months trying to encounter meeting planners? NO. I should make the referral from a place of giving. And nobody should expect the people in their network to be their sales team. 2. Most people just do not have "Follow Through DNA". I witness people all the time who promise to make an introduction (or some other type of positive impact favor). Yet when they get back to their office they get busy. They forget the promise they made to the other person and go on with their life. These are not bad people. They are not "liars". They really want to help. They mean to do good for others. In fact, in their own mind, they think they did help. They correlate wanting to do good for another person with actually taking action. Only about 10% of the people I encounter who say they will do something in a networking context really take the next steps. Many who you meet in your life will not have the ability to help, and most of those who can ---won't. However, this is no excuse to ignore the concept of networking. It only takes a small number of amazing people in your life to propel you to higher levels. Start by looking at yourself. Do you have "Follow Through DNA"? Those who have it want to associate with other people who have it. It is easier to get things done when you are surrounded by "doers". Does your network know they can count on you? The holiday season can be a reflective time. For me it reminds me of my the best parts of my youth. The "Ghost of Christmas Past" tends to visit me regularly during this time of year, and I am blessed with several positive memories of friends and family. When I was a kid, my mom did not go overboard on the decorating, but she did make sure there was much holiday joy around the house (think presents, candy and cookies!). She liked to invite people to our home during the holidays. I recall relatives and friends popping in for "Hot Toddies" during the days around Christmas. I still enjoy the idea of seeing the people you love at the holidays. This is an ideal time to remember those who have had a positive effect on your life. Some have come and gone throughout the years. Some have passed away. Others have drifted off in different directions. But people matter and it can be easy to lose sight of this powerful fact. Sure, there are some bad people who have crossed your path... and we need not revisit these relationships. But I believe most people are of a good heart, and we should not forget that they would be thrilled to know you still think of them in such a powerful way. Sending holiday cards is a great way to keep in touch. While limited, it is a tradition that exists for a reason. I have many friends who have profoundly touched my life with whom I am no longer in regular contact. While some are lost, others I have kept on my holiday card list because I cannot bring myself to stop wanting this annual "touch point". These people matter to me, helped shape me, and discarding them would just seem wrong. People should not be discarded. While we certainly do not stay close to everyone, honoring the memory of a relationship is important. My roommate from the dorm at San Diego State (freshman year of college), Terry, and I have a tradition of a phone call at the holidays. He is a police officer in California, and we do not keep in contact regularly. But for over 20 years we have both cherished the annual conversation. I will call him this week, and look forward hearing about his life. Only once have I ever felt discarded by another person. I had a misunderstanding with a friend who never gave me the chance to repair the problem (both of us were at fault). I was tossed aside like trash. This experience helped me understand the power of human relationships, and how important they are to our souls. I have tried to learn from this experience and have made people a priority. I hope I have not made others feel discarded, but if I have, I would actively participate in the repair of the situation. Facebook and other social media tools have helped make it easier to stay in touch and to cherish relationships. While we all get pulled in different directions, these pervasive technologies makes it simple to keep in touch with those who matter to you. It does still take effort to keep a friendship alive. A "link" on a social media site does not in itself say "I care", and without occasionally reaching out to the people on your "friend lists", you will disappear from their view. Take advantage of the holiday season to find ways to tell people they matter to you. When I began my business as a speaker I was hired to deliver keynote presentations at company meetings, law firm retreats, and industry conferences. That was what I did. Then some people began asking if I offered coaching. Thus I started working with a small number of individuals to help them develop and execute their business development plans. Most of my clients are senior associates or young partners in law firms who realize they must cultivate powerful long-term relationships in their communities if they want to develop a book of business. While I had avoided coaching people, it turns out I liked this aspect of my career. I also had several executives and managers, who had seen me speak at a company meeting or industry conference, ask me if I could conduct more in depth training programs for their employees. These executives were looking for sales and business development classes that went farther than a 60 minute keynote. 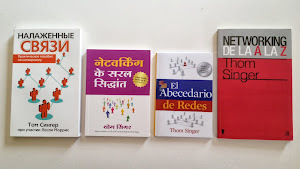 Thus, I created a series of ongoing training classes that can be customized to educate and inspire the employees in professional services firms and other businesses. A sales and business development culture is paramount for growth. However, it takes training, discussion and intentional actions to cultivate this important company-wide attitude. Utilizing DISC Assessments tools and learning objectives, combined with my 20 years of experience in sales, marketing, business development and communications, I customize programs to help my clients discover more success. As your business starts the new year, make a commitment to develop your employees. I would welcome the opportunity to have a dialogue about your business and the unique challenges your company faces in identifying more prospective clients. Sorry to all the companies and law firms who are trying to save money by not mailing out holiday cards, but replacing them with an HTML emails with a photos of a winter's day is LAME. One firm said they did away with paper cards for environmental reasons, and that they made a charitable donation with the money. The problem is clients believe the decision was more about the hassle created by mailing cards and that they only donated a portion of the money saved. Hey, who knew you could make cutting out the holiday card into a profit center? I am not a fan of paper holiday cards, either, as they tend to get lost in the mix. I think companies that have touch points at other times of the year stand out from their competition. Some do birthday wishes, other mail out good tidings at Thanksgiving or St. Patrick's Day. One friend dreams of sending out cards by US Mail on Arbor Day with the message "Enjoy the Irony" (I love that one!). But the email is just so awful. I hit delete in less time than it takes for the cheesy stock photo to download. At least with paper cards I keep them until January. I think I have written this same blog post in years past, but this year I seem to get some computer generated holiday wish in my InBox every half hour. It is dumb, folks. Don't be a LAME-O..... Reach out human to human.... not with some spammy email. It's Official. Austin, Texas now has an active National Speakers Association chapter. Many years ago there was a chapter than was made up of professional speakers from all across Central and South Texas. The Heart of Texas Chapter fell away a few years ago, but local professional speaker and NSA member Sara Canaday took initiative. One year ago she reached out to the local NSA members, and speakers who are not NSA members, and inquired about starting a chapter. The level of interest was high, and the ball started rolling! The "Austin Speakers Network" was born from that original meeting of about 20 people. Since that time a board was formed, successful monthly lunch meetings and other industry specific workshops have been held and a petition for membership was submitted to NSA Headquarters. We received the news last week that we were granted the charter effective in December 2010. If you are a professional speaker, or work in and around the meetings business, we hope you will join us for our future events. My panel proposal, "You Can Impact Charity Without Being Rich" was selected for the 2011 South by Southwest Interactive Conference In Austin, Texas (March 11-15, 2011). This will be my fourth year presenting at SXSW Interactive, which is one of the largest business conferences of the year (with over 10,000 attendees). 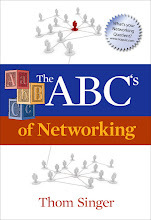 The first year I presented on the "Author's Stage" discussing my first book, while the following two years I lead a mini-version of my successful "Conference Networking Catalyst Program". 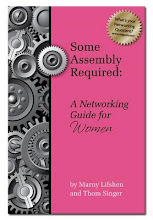 This year I decided to submit a proposal away from the theme of "networking". I have become passionate about educating individuals and companies to uncover their commitments to giving back to their communities. Too much attention is put on the wealthy philanthropists, and many "regular folk" mistakenly believe they cannot make an impact. I am excited to have been selected to lead this panel discussion. More information to follow on who will be on the panel. If you are attending SXSW I hope you will plan to attend. The 12 Pillars of Integrated Visibility - Number Three: "Industry Participation"
All industries have professional organizations designed to promote and advance the efforts of the companies and individuals who work in their line of work. 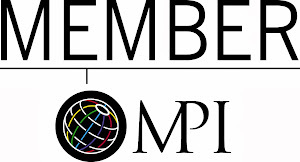 These associations provide information, legal and governmental lobbying, education, codes of ethics and professional standards, and amazing networking opportunities. I am often surprised when people tell me that they do not participate in their professional associations. Many claim that they do not support these organizations because they are full of "amateurs" or other hacks. Interestingly, they can always point out successful and admirable competitors who support the group, but they are fast to dismiss the value that might exist. Others claim they do not participate because it is a waste of time to network with the competition. They fail to understand the importance of being connected with others in their industry. It is not only about the competitors, but also about the vendors and other companies who are connected to an industry. You never know when you might encounter someone who could easily make referrals or become your next employer or employee. Excuses are usually heavily rationalized, but when you look closer those who pooh-pooh industry participation you often find people who are self-focused or networking misfits in all areas, not just in making connections with those in their same industry. Those who support their industries are usually more successful when it comes to creating a strong sense of visibility in their business community, and thus have the right mix of actions to build higher sales over the long run. This does not mean that all in the association will rise to the top levels of success or that reap the benefits one must become overly committed to the organization. Involvement does not require a ton of time, but it is more than just sending a check and getting a plaque for your wall. You should outwardly support the cause and honor those who do choose to serve the industry. Know the names of the people on the board, and attend in-person or online events with an open mind and an ear for new ideas. People with a natural sense of promoting their profession see benefits that go beyond their business. When you have a deep love for the business they work in, and want to see the vocation (and those who work in it) be more successful and respected, others will see your passion. People want to be around those with a passion, and you will find your circle of influence may expand in all areas. Customers view membership in a professional organization as a commitment to your business. While it may not be the deciding factor, it is considered a sign of dedication. Many might feel more comfortable with doctor who openly honors the standards of professionalism that the American Medical Association promotes, or a lawyer who supports their State Bar. If either of these professionals mocked the other members as "amateurs" or "wannabes", you might get nervous about working with them. But in other industries people do not seem to understand the importance of cherishing their profession. I recommend that you explore participation in your industry professional organization, or revisit the organization, talk to the administration, and join. Participate and seek ways to utilize your membership to help promote your professional reputation. My experience in the National Speakers Association has been invaluable. I have had the opportunity to be mentored by those who have been in the business longer, and to mentor newcomers. By being active it has provided me with anecdotes about the changing face of the Speaking Industry and talking points to discuss with meeting planner clients and prospects. One meeting planner told me recently that when she hires speakers who are "not celebrities" she prefers NSA members. The friendships I have made through being involved with NSA have lead me to new ideas and best-practices to expand my own business. Additionally, the introductions and referrals that have come from other speakers are impacting my bottom line. Invest in creating and cultivating long-term and mutually beneficial relationships within your industry and it can forever improve your success. Marketing, advertising, PR, business development, speaking and writing, word-of-mouth, and all the aspects of social media cannot operate in separate silos. The reason that companies invest time and money in these activities is to boost sales. But if you do not have all the people involved with creating visibility working together, then your efforts will come up short. Do not forget that it comes down to sales. Companies need paying customers to survive. Why would you invest in visibility activities if they are not driving sales? Have regular discussions with your team so that everyone is kept informed about all the actions that are being taken. Take advantage of the new year and host a company meeting where you can begin the dialogue. Too many company's have backed off on holding meetings, but this can leave employees feeling uninformed. Encouraging discussions on how to promote the company can be the catalyst for ideas that boost your bottom line. Integration of you visibility will not happen by accident. 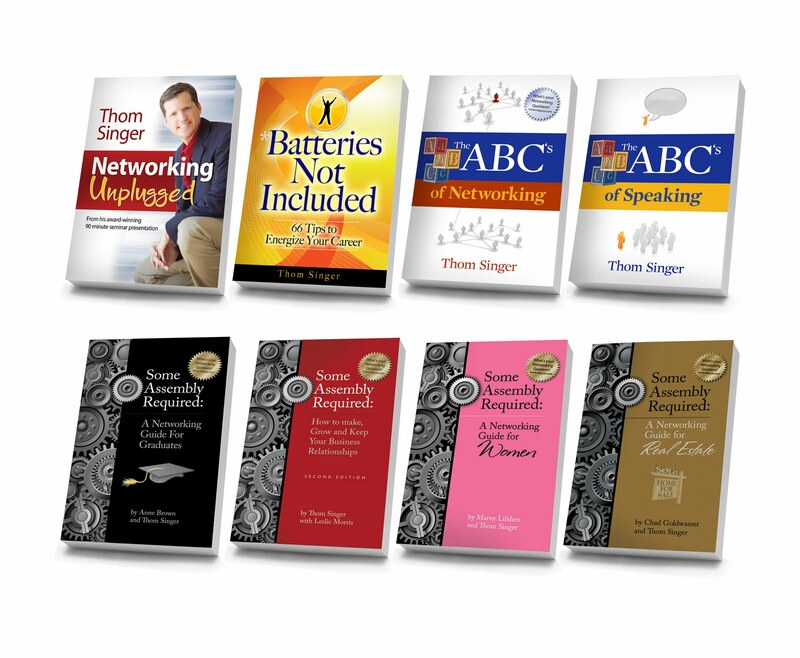 ****If your company is holding an annual meeting, consider hiring Thom Singer to speak, facilitate or lead a sales training program. Company celebrations can be a great way to bond with co-workers -- or make a total fool of yourself after a few drinks. How to survive your next office holiday party. Great article by Geoff Williams on AOL Small Business. The larger the company, the more cliques you probably have. "Networking with people inside or outside your company is important," says Thom Singer, a business development consultant in Austin, Texas, who has thrown more than a few office parties. "Shared experiences help build bonds." But those bonds won't form if you have separate parties -- one for, say, the guys in the warehouse and one for the staff in the office. "At many law firms, it's 'lawyers' at one party, and 'staff' at another," Singer notes. "Can you guess which has the better location and food? And can you guess how that makes the staff feel?" Some people are seekers. They search for ways to improve their career, finances, relationships, etc... These people are always pondering their position and looking for new paths. Are you a seeker? What are you looking to do in 2011? How can others help you? How can you help others? The 12 Pillars of "Integrated Visibility" - Number Two: "Understanding and Belief"
I will be writing about all "12 Pillars of Integrated Visibility" over the next several weeks. The skills involved to create success in each area are rarely present within a single individual, and this is why so many companies fail to achieve the success they desire. There must be company-wide involvement to make it all come together. For a company (or an individual) to find the desired level of success in business there must be a healthy combination of "Understanding and Belief". When we fail to understand who we are and what we provide to our community, we will constantly be chasing whims. Additionally, when we do not believe in the strengths of our products, services, management and co-workers, then we we can never achieve to the fullest. Understanding can be allusive. Entrepreneurs and C-Level executives know where they want the company to go, but honestly interpreting current situations can be difficult. Employees often know the here and now, but sometimes cannot comprehend the vision of what the organization can become. Bridging this gap leaves many on both sides frustrated. Open and honest discussions with everyone involved in a business is important to gaining that realistic assessment. This discussion should transcend just those who work for a company, but include customers, referral sources, vendors and other community members. Too often those who are the closest to the day-to-day operations will not provide the best overview. Entrepreneurs who runs businesses sometimes have no understanding of the changing marketplace. The history of their company and the passion for success can mask the realities that are happening around them. When this happens everyone else usually knows they are out of sync, but getting them to accept this is difficult. Seeking understanding means welcoming the hard information that the ego can sometimes try to shield. Many years ago I worked in a situation where my efforts fell short of my expectations. It was not a failure, but hardly the level of victory I had become accustomed. I failed to explore how the environment was impacting my work product. I did not understand my reality. By the time I understood what had really happened, I had moved on to another career. If I had understood myself, my employer and the company culture.... my contributions would have become legendary. Belief is the other side of the coin. Just knowing your reality is not enough without the confidence to take epic actions. When people do not believe they may still go through the motions, but the power of their work will never be fully executed. Businesses are made up of people, and the mind in each person should be tuned toward contributing to the company's success. When the employees believe the company is changing the world, then the business will make a difference (and higher levels of success will follow). If people doubt the management, the products, or the importance of the mission.... then nothing much happens. Belief takes faith, and that is not a tangible item that you can purchase at Office Depot. To cultivate this emotional commitment and confidence in the company's vision there must be leadership. I have worked in organizations that had strong leaders, and I have been in places that lacked leadership. It makes a difference. To be a leader you must be out front. Executives who are secretive and operate behind closed doors leave their people wondering, not believing. In these work cultures you see high turn over, gossip, and run-away office politics. Where there is a strong belief in the future of the company and a human-oriented inclusive culture you find workers who come in early, stay late, and promote the cause of advancing the company 24/7. Does your company understand what it is (now and tomorrow)? Do your people believe in you and the organization? If the answer is "no" to either question, you can change that... really! The 12 Pillars of "Integrated Visiblility" - Number One: "Sales"
I will be writing about all "12 Pillars of Integrated Visibility" over the next several weeks. The skills involved to create success in each area are rarely present within a single individual, and this is why so many companies fail to achieve the success they desire. There must be company-wide involvement to make it all come together. I am starting with "Sales" because it is the centerpiece and purpose of all businesses, and the way we measure success in a company. Sales is tangible, but it does not stand alone. Without the other "pillars" the roof will collapse. I spend a lot of my time training professionals about the importance of "Integrated Visibility". My keynote presentations, sales training classes, coaching and consulting programs all are based on the idea that there is no one magic bullet that will automatically bounce the revenues of the company. Gone are the days where a series of tricks and scripts would lead to more business. Buyers are cautious and better educated than ever before. It takes intention to win in today's business world. Selling is about helping the customer make the right decision and meet their needs. It is win / win. When done with correctly and with integrity, selling is a noble act. Some look down on "sales" as a manipulative act, or a necessary evil..... WRONG - Sales is the engine of commerce! In every industry there is increased competition, lower barriers to entry and far too much noise. This confuses the buyers and turns too many products and services into commodities. To get to success in selling a business must engage in more than "Random Acts of Selling". Many executives are hungry for a "system" that will lead them to overnight success. This desire makes them vulnerable to spending time and money on programs that will not create the necessary change inside their company. You cannot hire a "Nanny" who will magically change your corporate diapers. It can be messy, but you have to put all the pieces together (Some Assembly IS Required!). Everyone in an organization should care about "sales", and all should feel they are part of the "Business Development Team". When your employees do not believe they are connected to the sales process, the company comes up short. Companies need revenues to operate, and without the acquisition of paying clients the doors will not stay open very long. There are 12 pillars to "Integrated Visibility", but the purpose all these disciplines is to increase sales. Businesses of all sizes struggle with this issue and spend too much time defining the steps involved and not enough times doing. One company I know is fanatical about the idea of "sales", but continues to fail in the different paths the company takes because the executives believe "sales" stands alone. They have had ups and downs over the years, many of which are due to external economic factors in their industry, and little to do with their understanding of how their customers and prospects view the business. They spend all their efforts gazing at their navels, and not enough time getting their people engaged in selling. Thus it cannot stand alone, as it is part of the whole "system". A prospect will rarely to get to the "sale" by accident. There is no "sales fairy" to sprinkle magic dust over your products. Buyers and sellers are two equally important sides of a transaction. Both must be engaged in the process for everyone to achieve the desired results. Once you have the attention of the prospect, you can begin to sell.... but it takes longer than ever to get them to look at you amongst all the noise from competitors and other vendors who are calling them constantly. Many businesses care good at getting attention, but fail to close the business. The most successful sales professionals know that in the end you must ask the prospect to buy. The act of selling is not hoping they will buy from you, but actually getting the contract signed. To accomplish this action, everyone must be confident in the process. Sometimes people in sales jobs do not really believe in their company (the products, services, customer service, or integrity of management), and this will limit results. Thus sales success is about more than the person you hire to carry a bag. Every aspect of your company culture will impact the process. You should care a lot about "sales" if you run a business (or work for a business), but you also need to honor to the other factors that make up the "12 Pillars of Integrated Visibility". I have been talking with many business leaders lately about "sales". This is an important to all companies, law firms and other organizations.... but to many it seems mysterious. Everyone wants "more" sales, but some question what it means to have a plan to bring in the business. For a long time people looked at "sales", "business development", "marketing", "pubic relations", "networking", "social media", and "branding" as totally separate functions. Everyone agrees they sound like they belong together, but few work on making them work in sync. To enhance your company's efforts you need an "Integrated Visibility" program. Discussing the definitions or descriptions of "what is sales? or "what is marketing" (etc....) eats up a lot of time. If an executive team is hoping to prove to each other who is the smartest person in the room, they can debate the semantics all day long. Smart companies put their focus on the results, not the definitions of the disciplines that will lead them to more business. When the numbers come up short, some will rationalize all sorts of excuses why the company is not meeting expectations. Fingers get pointed, sales and marketing professionals get fired, and new plans get drawn up to do better in the future. But often nothing new happens. 1. Do those who are responsible for sales, marketing, and other revenue generating activities believe in their soul that the company's products and services are spectacular? Does the leadership have the same confidence? Are people coming to work to advance a cause, or just to check the box to get a pay check? Often when a business is falling short the answers are often negative. 2. Do the employees all believe that EVERYONE, regardless of job title, is part of the business development team? Or do they wait for the "sales" people to take care of all aspects of new client acquisition? When people do not believe they are responsible for the growth, they wait for those with official sales jobs to produce. It can be a long wait. Has your company planned a team meeting to kick off 2011. Is everyone included? If the answer is no to either (or both) of these questions.... why not? Getting everyone on your team motivated to grow your overall "Integrated Visibility" will boost your sales. My phone rang at 9 AM. It was the CEO of a local company and professional speaker (and fellow National Speaker's Association member). His voice made it clear that he was sick. He had lost his voice, and he was scheduled to deliver a keynote speech to 150 professionals from around the country. His 90-minute presentation was a few hours away. He did not want to disappoint the event organizer, but there was no way he could speak. I was in town and, with a few calls, I was able to clear my calendar. I jumped in and gave a talk that was well received. The audience was satisfied with the replacement speaker and I made a new friend in the event organizer. This is an important reminder to all of us who speak, consult, train, coach, etc..... When you are the product, what is your back-up plan? Having a community of other professionals of whom you can turn to in your time of need is imperative. While I have never had to utilize a "back up plan", I do have a group of other speakers through NYP Speakers and the National Speakers Association whom I could call. 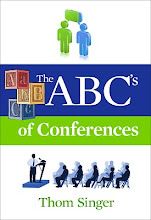 A friend is organizing a large conference for her professional association, and has two people who will be attending the event (who are speakers) who agreed to be "on deck" in case any of the scheduled presenters miss a flight or if there are technical problems with the Skype-ing in of a few out of town special guests. That is brilliant to have a back up plan. Think about your business. Do you have "back up plans" in place? Tonight was the annual Andrews Kurth Holiday Party in Austin. The local office of this AM LAW 100 Law Firm has long been known for hosting some of the best corporate events in the local business community. Tonight they lived up to their reputation with this soiree at PF Chang's. Many in the Austin Tech Community remember the social networking events of the late 1990s, and while some will spin the memories in many directions... the truth was they were "epic" in so many ways! After the "bust" these events where few and far between, but Andrews Kurth has consistently held their annual holiday party for clients and "friends of the firm" --- as well as their spectacular "AFTER PARTY" following the Ernst & Young Entrepreneur of the Year Awards. Bringing people in your business community together in good times, and in bad times, is a wonderful way to build personal relationships and encourage the human to human connections that drive business. Many firms desire to host events that have a meaningful impact on their community.... few can pull it off like Andrews Kurth. You can bet that tomorrow those in attendance will be sharing stories about their good time at the event!!! I had a great time catching up with old friends and former co-workers (I worked for Andrews Kurth for two years as their Director of Business Development and Marketing, and had planned many of their events in my day!). The crowd got close to 400 people, and the conversations and networking continued late into the night. The party was scheduled from 5:30 - 8:30, but even at 11:00 PM there were dozens of people still in attendance. A sign of a great party is when people are still engaged long after they had planned to go home. I encourage business professionals to take advantage of the holiday season and attend the holiday parties that take place in their business community. There are few chances to mix and mingle with those who can have the highest levels of impact on your future. Too many rationalize reasons not to attend these types of events... but in the end they miss out. The December edition of the "Some Assembly Required Newsletter" has been sent and is now available online. 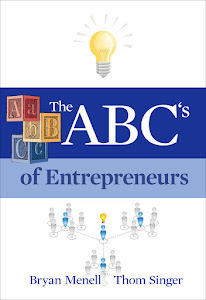 This version is all about setting goals (for individuals and companies) for more success in 2011. Do not take your business into the new year without a plan for success. In boom times many people ride the wave and make money in spite of themselves. They get big contracts, dream jobs, and enjoy the profits. Many are not sure how they got so lucky, but they do not complain, and try not to let others know they were in the right place at the right time. Many believe their own press, and begin to think they are smarter than the average bear. Those days are gone for most people. The ongoing economic situation has many entrepreneurs and other people directly effected and continuously worried about the future. I recommend people and companies devise plans for success in the new year. Do not leave 2011 to chance. Setting goals, identifying action items, accountability, and a feeling of inclusiveness will pay off in the new year. I consult with small businesses and law firms on creating their action plans via facilitated discussion programs. To create goals in a vacuum, without participation and input from employees, is futile. Get the people around you involved. Many HR directors and others who plan company meetings express tell me they fear that their staff will stare at their shoes. The reality is always the opposite. People have ideas for how their company can improve, and when they feel that the bosses are interested in their thoughts, and they know they are being heard.... it is hard to stop them from talking about marketing, sales, and other business development inspirations. If you position your sales, marketing, PR, social media and business development efforts as second tier, you will always have second tier results. Having ongoing discussions about how everyone in the company is in the business development role will help morph your corporate culture. "It's not my job" can never be acceptable in a growing company. But a meeting alone will not create results. Talking about the goals, encouraging action, holding everyone accountable, celebrating victories publicly, and making everybody feel involved is paramount to your success. This is an ongoing process. Now is the time to get started. Do not wait until after January to being your planning process. If you wait, you will find 2011 will slip away. Thanksgiving Getaway - Bandera, Texas "Dude Ranch"
It was August when my wife suggested "Let's do something different for Thanksgiving"
Those six words lead to several discussions about exactly what a "Destination Thanksgiving" might look like. The problem was there limited money to spend on a vacation, thus it had to be something close enough to home to drive, and yet different enough to inspire us to take action. We decided on two nights at the Twin Elm Guest Ranch in Bandera, Texas (a two hour drive from Austin). This "Dude Ranch" experience, complete with a large group Thanksgiving meal and several horseback trail rides, was appealing to both parents and kids. We told family and friends we would be out-of-town this year, and made our plans for a fun and relaxing western experience. The ranch is rustic, but not run-down. If you prefer to stay at a "Four Seasons Hotel", I would not recommend this style of vacation. The guest rooms and cabins are older and small... but very clean. The grounds are not manicured like a resort, but instead a real ranch experience. The dirt roads and barns are functional, not designed as landscape. It is a bit more like "roughing it" than we are accustomed... but that was the whole idea! The food was simple and yet fabulous. Everyone in residence at the ranch ate together in the dining hall upon hearing them ring the bell. Yep, a big triangle that could be heard across the grounds, sounded to bring everyone running; "Come 'n get it!". Everyone talked and shared stories over meals, and it made for a family atmosphere, albeit groups of strangers! Captain and Miss Victoria, who manage the Twin Elm, give the place the warm feeling that permeates throughout the ranch. They take care of everyone's needs and made sure that all were welcomed. The kids practiced roping a metal cow, and took over the game room pool table, air hockey and Foosball (although a bit worn, they still worked). We all played cards, read books, and hiked down to the river. The idea was to just have a low-key and relaxed few days without having an agenda or being on the go the whole time. On Friday night there was a Rodeo on the ranch grounds. This would have been great, but we only lasted about half-way through because it was 34 degrees outside. Burrrrrr. We did see some professional rodeo cowboys get tossed off a few bulls before having to head back inside. The highlight of the trip for all of us were the trail rides. We had three rides, two on Friday and one on Saturday. The horses were easy going, which was important because the kids had never ridden before, and I am not very experienced on a horse. Each ride was over an hour throughout the beautiful Hill Country trails. My wife, Sara, is an experienced rider and would have preferred the chance to run the horse though the meadow,.... but this was not the type of rides available. My gentle walk on the one eyed horse, "Rooster", was just fine for me! We also drove to Medina, Texas to the Apple Store. Not the "Apple Store" that you city folk are thinking about (no iPads to be found). This bakery and restaurant sold all things Apple (think the fruit). I am adding this to this post because we had the best apple strudel ever. We bought one on Friday and shared it in the car. We drove back the next day (30 minutes round trip) to get four more.... because it was way too good. If you visit the Twin Elm, you must add this drive to eat some apple pie or strudel to your trip! Getting out of your routine is great. In this case it was for Thanksgiving... but anytime you shake things up and try new stuff it can bring big benefits. Our family had a wonderful shared experience, the kids are now big fans of horseback riding, and we found a new and affordable place for a long weekend. I recommend a "Destination Thanksgiving" for anyone (to a Dude Ranch or other place out of the norm). No cooking the meal, prepping the house for guests, or clean up!!! Yes, you miss the fun of a large family gathering.... but some of those at the Twin Elm brought their whole extended clan for the weekend. Maybe next year we will convince everyone to come with us! If you have ever wanted to learn to utilize professional speaking to promote your business and / or to make money from your presentations.... this half-day seminar is an ideal way to gain valuable information about how to make money from speaking. For over 15 years I have observed and studied the business of speaking. Too often people view the "celebrities" who are speakers and assume this is the whole industry. 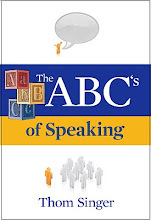 But it goes much deeper, and there are several paths to being a professional speaker. This seminar will be both fun and informative. Cost $595 --- BUT mention this blog post and your fee to attend will be $350. The class size is limited to 10 people to ensure each individuals unique business needs are addressed. The December 2010 issue of Money Magazine has a great article by Dan Kadlec about philanthropy. "How To Give Like A Billionaire" chronicles the things that Bill Gates, Oprah Winfrey, Warren Buffett, Mark Zuckerberg, and other uber-rich do when they support worthy causes. Recently Buffett famously urged his peers to give away half their wealth, and while the average person cannot part with half, there are lots of things we can do to have a greater impact in our charitable efforts. Several years ago I approached a famous local philanthropist at a networking event and asked how I could help with a local cause, of which he was spear-heading the fund-raising efforts. He asked me if I could write a check for $10,000 (or more). When I replied "No", he turned his attention to others in the cluster of people, as if I had just evaporated into thin air. No "big check" meant I was invisible to this man and his cronies. This exchange hurt my feelings and put a sour taste in my mouth about philanthropy for several years. Three years ago I gave it another try. When I became a professional speaker and started earning extra money from my presentations, training workshops, and EmCee-ing events, my wife and I decided that we wanted to connect our successes to a worthy cause. We approached the Dell Children's Medical Foundation (the new Dell Children's Hospital was just opening its doors in Central Texas). We selected this charity because our youngest daughter, Kate, had been born with a medical condition that required major surgery when she was an baby. We had to look out of the area for the best level of doctors and facilities, because Austin did not have a "state-of-the -art" children's hospital at that time. With this new medical center, other families who faced similar issues in the future would not need to travel to find the best care. The staff of the Foundation were wonderful, and helped us set up the "Kate Singer Endowment for Cranio-Facial Research". We pledged 5% of the money I earn through speaking fees to this cause, and by making small donations consistently over three years the money has added up. This year we met our first giving milestone, and have directed our giving to a similar endowment at Rady Children's Hospital in San Diego (where Kate received her treatment 8 years ago). When we reach an equal amount in donations we will split our efforts to 2.5% to each hospital into the future. Had we given small amounts to many random charities (who call on the phone at dinnertime) we could never see the impact that our donations can have in the long run. By selecting one or two causes and being dedicated to the giving plan, you can better understand how your dollars add up over time. *Round up your like-minded friends and pool your charitable resources (we do a fundraiser on this blog every February to raise money and awareness for Dell Children's Medical Center). *Give time to your favorite cause. I hope that people will not feel that giving is reserved for the rich, and that negative experiences like I had with that wealthy "philanthropist" will not sour them on the idea of making a difference. Additionally I want charities to look beyond the "elephant hunting" tactics of seeking only rich donors. Seeking to make connections with average people who will consistently give, and then cherishing their contributions as much as they do the "big checks", can have an even greater effect on an organization than simply getting money. Is your company, law firm, professional services group, or non-profit board planning a 2011 kick off meeting? You should. Having a plan, goals, shared objectives, motivation, and inspiration help you navigate the collective path toward success. Leaving it all to chance is a big risk. For over two years organizations have cut back on their internal meetings. In an effort to save money during the recession they decided to forgo their training, education and team-building efforts. The result? For some, their people feel abandoned and disconnected. I have a customizable workshop that will get your team fired up for 2011, get everyone on the same page when it comes to business development, marketing, networking, social media and corporate visibility in your community. Gifting eBooks on Kindle - It's Easy!!! Did you know that you can give an eBook on Kindle as a gift? You can do it now! It used to be you had to give an Amazon Gift Card to your Kindle touting friends. But now gift a specific eBook to anyone with an eMail address. Also, you do not have to actually have a Kindle to enjoy reading eBooks from Amazon. They have a free eReader software for Mac, PC, iPhone and almost any device you can image. So, you can start right now by sending one of my books to a friend this holiday season!